Oct. 5, 2014 - The second of four blood moons in slightly more than one year will occur on Oct. 8. This one will appear to be bigger and brighter than the first one of the series. Sept. 4, 2014 - An asteroid, designated 2014 RC, was only discovered a few days ago. On Sunday it will safely pass over New Zealand at a distance of about 25,000 miles. On the night of Aug. 31, the asteroid was first discovered by the Catalina Sky Survey near Tucson, Ariz., and was detected independently the next night by the Pan-STARRS 1 telescope that is located in Hawaii. The great interest in the rare phenomenon of a series of blood-red moons raises a couple of important questions that need to be answered. Does the Bible teach that events in the heavens may have spiritual meaning? The first chapter of the Bible declares that the lights in the sky will serve as "signs and seasons" (Genesis 1:14), and Revelation, the last book gives several prophecies of changes in the sun and the moon, and falling stars (asteroids) during the Tribulation (Revelation 6:12-17; 8:10-12). In between these books there are many other examples of the spiritual importance of the heavenly bodies. The Hebrews had their own ancient understanding of the meaning of the constellations (Job 9:9; 38:31-33). This concept has been called "The Gospel in the Stars" describing the spiritual battle between good and evil, and the promised coming of a heroic virgin-born Savior who would destroy the power of the dragon. One of the prophecies about Messiah was that He would be "a star out of Jacob" (Numbers 24:17). In the days of the Babylonian Empire, Daniel was the only one who could interpret the Nebuchadnezzar's dream. The king rewarded Daniel by making him the head of his wise men, the Magi. Hundreds of years later, descendants of those Magi recognized an unusual series of events in the sky that they interpreted to be a fulfillment of the passage in Numbers, so they went to Israel and were directed to the place where the infant Jesus was (Matthew 2:1-2, 9-10). The same prediction was mentioned by Peter (Acts 2:20). It was also described in John's vision (Revelation 6:12-14). However, these passages are clearly referring to a yet-future time at the end of the dreadful Tribulation Period, just before the Glorious return of Christ to the earth as King of Kings and Lord of Lords (Revelation 19:11-16). If the current series of blood moons are not a fulfillment of that still-future day just before the Lord returns to reign, what significance do they have? 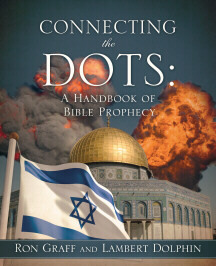 John Hagee in his book, Four Blood Moons: Something Is about to Change, correctly demonstrated that there is an uncanny connection between the past occurrences of this phenomenon and major developments in the history of the Chosen People when their enemies were dedicated to their destruction. They especially point to the time-frame of 1493-1494, when Jews were being exterminated and driven out of Spain. But at the same time Columbus discovered America (1492), which would become a haven for Jewish people. They also note that this tetrad of blood-moons occurred in 1949-1950, just after Israel had become a nation (1948), and were attacked by their neighbors from all sides. The tetrad also occurred in 1967-1968, when Israel had to fight the "Six-Day War" and gained much additional property from its enemies. This current tetrad of blood moons also comes at a time when Israel's very existence is being threatened by Iran's nuclear program. Iranian leaders have repeatedly expressed the desire to annihilate Israel. This particular series has an additional aspect that makes it even more significant. These eclipses all occur during the celebration of the Jewish festivals of Passover and Tabernacles. Hagee says all of this means something big is about to happen, but he wisely does not claim to know what that development will be. Do we have to choose between spreading the Gospel or teaching prophecy? In recent years it has become increasingly popular for pastors and Bible teachers to minimize the importance of prophecy. A CNN article about the Blood Moons quoted a professor at a Bible College, saying, "But instead of looking to the heavens for signs of the future, Christians should focus on the hope and promise of the gospel message and seek to reflect Christ in word and deed." Have they forgotten that during the major revivals of our generation, such as the Jesus People movement, the Gospel spread like wildfire, and the leaders of the movement were excited about Bible prophecy? 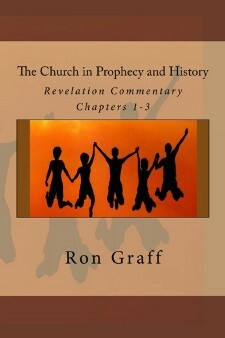 The proper teaching of prophecy does not stifle hope, but it does stimulate evangelism. The alternative, being chosen by too many spiritual leaders today, is to ignore prophecy, which represents more than a fourth of the Bible! The solution is not a question of "either/or" but of "both/and." Let us proclaim both the Gospel and Prophecy. Apr. 15, 2014 - Crowds of people went to the Griffith Park Observatory in Los Angeles last night to see a rare "blood moon" event. April 14, 2014 - You don't need to go to Griffith Park to see tonight's eclipse. If you live in North America you should be able to see it in the sky. This article lists several websites that will be streaming information and live pictures of the event. The eclipse of the Moon will last over three and a half hours, starting at 1:58 a.m. EDT (April 15) or 10:58 p.m. PDT (April 14). Total eclipse will start at 3:07 a.m. EDT (12:07 a.m. PDT) and will last 78 minutes. This will be a rare "blood moon," part of a very rare series of four blood moons over the course of two years. Apr. 13, 2014 - Pastor Hagee explains why the tetrad of blood moons that begins this week may be a signal from God that something big is about to happen. 'Blood Moons' a special message to America? Apr. 11, 2014 - The upcoming "blood moon" eclipse of the Moon will be seen by viewers in the Western Hemisphere on April 14. This particular event kicks off a rare series of lunar eclipses every six months. In addition to April 14, there will be one on October 8, and in 2015 there will be one on April 4 and another on September 28.. If you happen to be clouded out or on the wrong side of the Earth for this month's eclipse, don't fret. You can watch the entire disappearing act online, via a robotic telescope webcast from the SLOOH Observatory in the Canary Islands off of North Africa. Total lunar eclipse on April 14-15: What is a 'blood moon'? On April 14, at 10:58 p.m. PDT, a total lunar eclipse will turn the moon an eerie shade of red. The full lunar eclipse -- when the entirety of the moon is shaded by Earth -- begins just over an hour later at 12:07 a.m. and lasts until 1:25 a.m. PDT. . . The eclipse will be visible across almost the entire continental United States, most of Canada and Central America and parts of South America. Sky and Telescope magazine's map of the eclipse -Check to see if it is visible from where you live. Just a matter of time: End of history upon us? Apr. 1, 2014 - In his book, “Blood Moons: Decoding the Imminent Heavenly Signs,” pastor Mark Biltz contends that signs in the heavens are signals of important milestones in Israel's past history and may point to new developments in the Holy Land. Nothing in Scripture is trivial, and so Biltz shows readers that the feasts of the Lord and the calendar of the Lord are hand-in-glove with eclipses and other signs in the heavens, signaling major events in history. Dr. William Welty, a Greek and Hebrew scholar, gives an impressive "minority report" on the coming tetrad of red moons. These are indeed the end times, but Joel's prophecy wouldn't apply to this time before the Tribulation even begins. He explains. He also gives detailed information to show that the change of the sun and moon should be one event, not several. "I believe that in these next two years, we're going to see something dramatic happen in the Middle East involving Israel that will change the course of history in the Middle East and impact the whole world," he predicted. 1492 - Spain expelled the Jews, and Columbus discovered America, which became a safe haven for the Jewish people. 1948 - Israel was reborn as a nation. 1967 - Israel won the Six-Day War and recaptured Jerusalem. Feb. 17, 2014 - The first of a tetrad of "blood moons," is due April 15th. Surprisingly, the NASA website that had provided detailed information about the upcoming events has removed the data. their explanation was that it was out of date, and might be posted again when it has been updated.